← Where Is Grandma and Grandpa! I’m thankful to Cathy Craig Neil Jeanne Webster Lisam and my new Brother Jonathan 237blessed who have all chosen me for this Award I have only known Jonathan a very short time but find him a very focused and caring Christian . 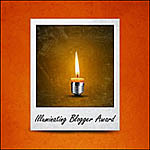 You can accept this Award any time it is offered, but you only need attach The Candle Lighter Award emblem once to your Blog and if you do know other bloggers who you would like to bless then you can share it with them, if wanted when you receive it again unless you want to share it with others just accept it as a blessing, you will have nothing to do. This award belongs to those who believe, who always Survive the day and those who never stop Dreaming, for those who cannot quit and for those who keep trying and if you are in that category you are entitled to this Award. Thank you for sharing this Award with myself and others. Thank you. I’m honored my friend. You are a source of light, hope and inspiration for us and for you to share this light is truly generous. I wish you all the wonderful blessings in life . God bless you and your family always. 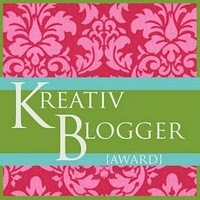 Thank you the island traveler I hope you will be blessed with this Award and if wanted bless others as you do so often on your Blog, you are indeed an encouragement to so many. Thank you for your kind words they also warm my heart island traveler, I have listed your name on this Award, feel free to share it with others if you want to. Thank you for visiting me, it’s always a Joy . Thank you Anne…you are a true blessing and you bless others. Thank you for thinking of me. Your encouragement makes me smile inside and out. Peace and Joy! Dear J…. I would say you are the blessing, ever since you shared how God healed you I have felt the need to share what happened with my poetry, you have lit a candle . I can’t wait to tell Ron what happened to you, our God is so wonderful , thank you for stepping out in faith, how beautiful you are. Thank you Anne for the award nice to receive an encouragement trust your blog will continue to bring help and encouragement, to us all who are on the Journey . 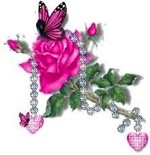 Hi Love, thank you for your kind words encouragement and support- Christian Love Anne. Hi meetingintheclouds I think we all go through …what about Awards? but I now feel at peace, they do encourage others and help motivate us to keep focused on The Lord as we reach out to other Bloggers and that is what our Blogs are for to share God’s Truth, on our own Blogs or when leaving comments as you shared and I very much agree . I was thinking I would like to create an Award to give to Non believes that will encourage then to think about God, I’m still praying about it. Thanks for sharing your Light I appreciate it very much – Christian Love Anne. We are called to be lights in the world of darkness, and we are also urged to encourage one another. 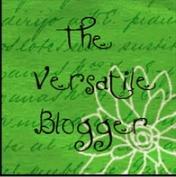 When our blogs give light to the unbeliever or the light of encouragement to the believer, we are fulfilling our task. While a large part of me thinks awards are unnecessary, I recognise them as an honour to the One who directs my time here, and I am thankful. Yay! Now all I have to do is find time to post it! Thank you, my dear sister Annie! I really like to the no rules — it fits well into my busy schedule! Hi Dei , no dear friend you don’t have to post it, you can just accept it and say thanks as you have done, accept the blessing but pass it on only if you feel you want to, I chose you for this award so you would have no extra pressure and if there is another award that has the same idea I will choose you to receive it again, I appreciated your honesty in saying you were very busy and couldn’t handle anymore Awards with all the regulations, some can and you have done so in the past, I still have problems with them as you will discover soon. Congrats, Anne and thank you for blessing me! Thank you dear Martha for always being a blessing, your kind and caring heart overwhelms me you are such a beautiful woman, I have a link for you that will help you to understand what I’m trying to express and that is your a woman of Strength. 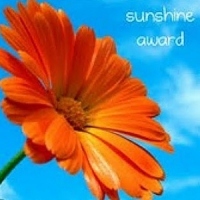 You too my dear Sister are such an encouragment to many, I slipped up apart from the new Award that I told you about I meant to include you again for this Award, I’m sorry but I have added your name now. You are indeed a blessing to me – Christian Love Anne. Thank you Anne, not only for this but for reminding me how important it is to be more encouraging. Hi dear Sister I intended blessing you more but I will concider your wishes not to be overloaded with regulations. I’m so proud Karin to call you my Sister in The Lord, I have never had a real family only bits and pices and yes I’m still thankful for them but I really feel like I have a perment family now that I can share with everyday in a special way….How good is that! Anne, it is more than good! How much better it will be in heaven. Keep the Faith, my Sister! So very much better my dear sister but for the first time in my life because I’m in Christ Jesus … I belong … I belong … I belong … Amazing Love how sweet the sound that saved a wretch like me. I once was lost but now I see… Anne, I want to thank you for the conversations about encouragment. I believe this to be one of your gifts and wish I had more (a lot more) of it. After many days of talking with God, reading His word and remember things you have said, I can see the true focus of the awards and am much more settled about them. My latest post reflects what I have learned. Thank you! Hi dear isaiah43123 I feel it is you who have the gift of encouragement, when you see something to encourage you do so and that is a gift but what I also appreciate is you stand up strongly for God’s Truth and that is wonderful even though some may not agree. I made a mistake at one time with the awards but I realised that what is important is our true heart attitude, this is what God sees, I didn’t want to pressure anyone so I put in my own Ideas but later realised I was wrongs, it was not my place to do this but something good came out of that mistake and this is the blessing of obedience, we have guidelines because we need them not so much with Awards but with our Lives and God knows this, I have learnt a very vauable lesson but how am I to pass it on. Thank you my friend, you have blessed me greatly. God bless you as well today! Thank you dear Sister, you too bless others greatly, I have often been amazed by the things you share with us, they do indeed encourage us to look beyond our own front yard. Thank you for your kind words Dunia, although I have had problems with Blogging I have had more blessings, so thank you once again for your kindness in encouraging me to Blog and not give up. Hi Dunia thank you, I’m pleased you are blessed they bless me too so many gifted people I’m very proud of my Brothers and Sister in the Lord perhaps like Paul was when he talked to those in the early Church, he expressed his pride in them as Children of God, I feel that this is what these Awards do although I would still like to reach out to those who don’t believe with them, I will have to pray about that.